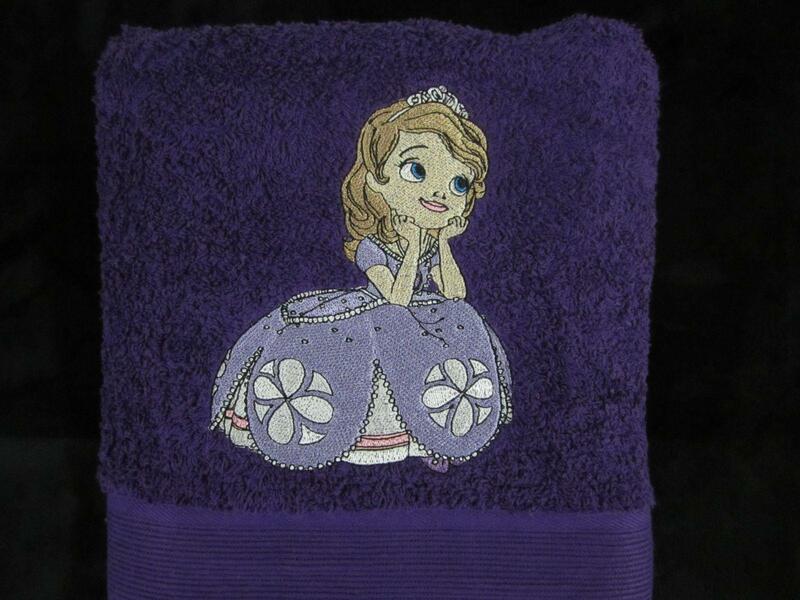 This picture shows close up plan of beautiful way of decoration terry towel for little girl. If she loves cartoons about princesses and likes to dream she will definitely love this amazing work piece. Its author Janine Stewart from Australia chose Dreamy Sofia machine embroidery design for this towel. Furthermore please pay your attention of sample’s suitable color scheme. It looks very nice on deep shade of main fabric.